Earlier this year, a Japanese official came to talk to me about Japan's bid to secure Australia's massive A$50 billion (S$50 billion) contract to build submarines. He touted the advantage of Japan's Soryu class of submarines, and diplomatically sketched out weaknesses in the rival French and German bids. The French and Germans, he said, were "cheating" in trumping up the capabilities of their subs. He lamented the fact that, compared with the French and Germans, Japan was too strait-laced and lacking in creativity when it came to selling subs to Australia. The official's instincts were right. In the end, the French won the contract. But what applies to Japan also applies to South-east Asia and its partners in managing the Chinese challenge in the South China Sea. As delegates gather at the IISS Shangri-La Dialogue on Friday, there would be much debate about China's reclamation and militarisation in the South China Sea. One thing should be clear, however: China's guile and tact have laid the ground for it to endure in the South China Sea. A key plank of China's South China Sea strategy has been to undermine Asean's involvement in the disputes. This was made clear in 2012, when China leaned on Cambodia, the Asean chair, such that no communique mentioning the South China Sea was issued. In April, China stepped up its divide-and-conquer strategy vis-a-vis Asean, by declaring that it had reached a "four-point consensus" with Brunei, Cambodia and Laos on the South China Sea, agreeing that the South China Sea is not "an issue between China and Asean as a whole". China's position has been consistent - that Asean should not be involved, and that China and rival claimants conduct bilateral talks to resolve their disputes. The four Asean claimants are Brunei, Malaysia, the Philippines and Vietnam. From China's point of view, Vietnam is a tough nut to crack, given Hanoi's extensive claims. Brunei has not been strident in its claims. The key for China is to work on Malaysia and the Philippines. And in recent weeks, China's bid to do so has gained some traction. Malaysia's position on the South China Sea has been a mixed bag. While it has stressed the need for non-military solutions and solidarity within Asean, Kuala Lumpur has also demonstrated a strong tone in asserting Malaysian sovereignty. What is less confusing is that in recent months, Chinese firms have made two multibillion-dollar strategic purchases in beleaguered 1Malaysia Development Berhad (1MDB). One is a US$2.3 billion (S$3.2 billion) purchase of Edra Global Energy, the country's second-biggest power producer, and the second is the purchase of a 60 per cent stake in a 1MDB property project, Bandar Malaysia, for US$1.7 billion. The purchases have thrown a lifeline to Prime Minister Najib Razak, the South China Morning Post reported. This would serve to bolster China's influence on Malaysia going forward. Last week, Prime Minister Najib Razak hosted Mr Meng Jianzhu, President Xi Jinping's special envoy, and stressed "constructive joint dialogue" between Asean and China to achieve a "mutually beneficial long-term solution" to the South China Sea problem. The Philippines under President Benigno Aquino has been strident in pushing its claims. Manila has taken China's nine-dash line claim to the Permanent Court of Arbitration (PCA) in The Hague. The verdict is expected to be out some time this month. But President-elect Rodrigo Duterte is a wild card. He has said that China and the Philippines can "set aside disagreements for a while" if China builds railroads in his home region. He has also expressed support for bilateral talks with Beijing - music to Beijing's ears. If Beijing gains traction in its dealings with Malaysia and the Philippines, any Asean bid to issue a joint statement when the PCA releases its judgment would become problematic. 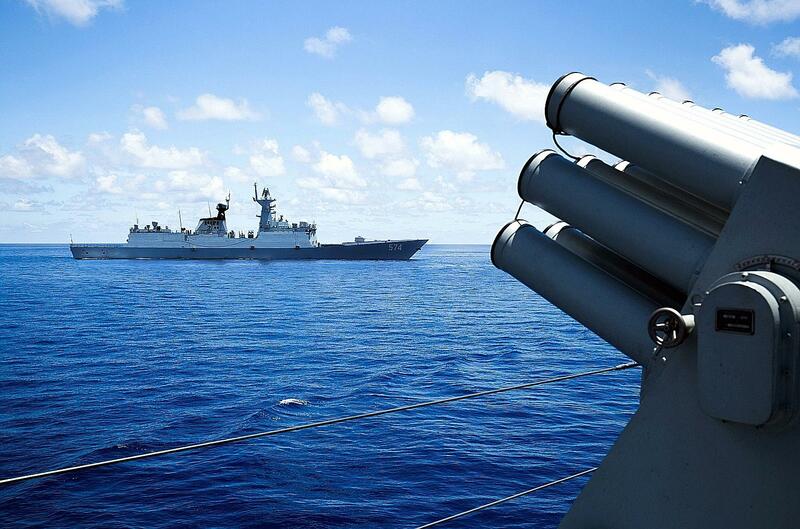 This does mean that China will get off scot-free in the South China Sea. Since October, the United States has conducted three Freedom of Navigation Operations (Fonops) in the South China Sea. Fonops have rattled China, but the US will likely go it alone from here. It is unlikely that Asean countries will participate in such operations, given sensitivities about riling China. More importantly, China has demonstrated restraint to Fonops, notes a recent report by the Sydney-based Lowy Institute for International Policy. In October, when the USS Lassen sailed within 12 nautical miles of Chinese-occupied Subi Reef, it was shadowed at a safe distance by two Chinese warships. Most US-China military encounters are now being safely conducted, write Mr Ashley Townshend and Professor Rory Medcalf. China's passive-assertive behaviour, however, has shifted the "burden of escalation" to the US and its partners. The PCA verdict represents the sternest challenge to China's ambitions in the South China Sea. The consensus view, however, is that even if the PCA does not go China's way, Beijing would continue to accelerate militarisation in the South China Sea. In the long term, China retains the initiative in the South China Sea. By the installation of radars, runways and missiles on reclaimed reefs, China will increasingly exert more control over the vital maritime strait. This in itself is not a game-changer. Despite American allusions to the fact, freedom of navigation for commercial vessels has not been challenged (only military access to exclusive economic zone and territorial seas has been). But what is worrying is an implicit agreement between China and the US over the South China Sea. Dr Michael Swaine, a scholar at the Carnegie Endowment for International Peace, said such an understanding would centre on the US not staking its credibility on ensuring that a non-coercive process is followed in the South China Sea; China would privately state that the area within the nine-dash line is open ocean. If this happens, smaller Asian nations would rue the costs. As Singapore's veteran diplomat, Mr Bilahari Kausikan, notes, small countries would "pay the price" when big countries reach an agreement. Think Taiwan in the 1970s, when it was at the losing end of Sino-American rapprochement. A Sino-US compact chills the bone, but it is not unthinkable. Speaking at a private function last year, a senior Chinese diplomat said that South-east Asian governments would face adverse consequences if they continued to criticise China's South China Sea activities. This could take the form of reduced Chinese investment and the possibility of a Sino-American agreement on the South China Sea, say Dr Tim Huxley and Dr Benjamin Schreer, writing in the January edition of the IISS journal Survival. China has to be credited for its consummate skill in salami-slicing in the South China Sea - taking steps that fall below the threshold of a strong response by interested parties. What is worrying about China's approach is the selective application of the United Nations Convention on the Law of the Sea and its refusal to clarify its nine-dash line claim. Speaking at the IISS Shangri-La Dialogue last year, Singapore Prime Minister Lee Hsien Loong said any outcome in the South China Sea must be premised on international law to be legitimate and sustainable. Even if a physical clash is avoided, an outcome determined on "might is right" would set a "bad precedent". This is something that delegates at the IISS Shangri-La Dialogue would need to think seriously over. • The writer is a senior fellow at the International Institute for Strategic Studies (IISS). • This article is also being published in Shangri-La Voices, a Shangri-La Dialogue blog run by the IISS.